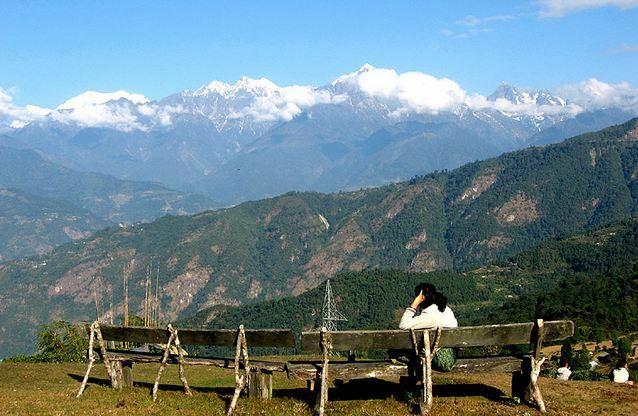 Samdruptse literally means 'wish fulfilling hill' in the Bhutia language. 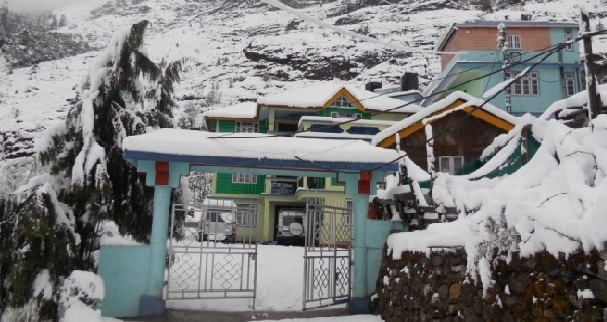 Situated near Namchi in South Sikkim, it is at a distance of 75 kms from Gangtok. 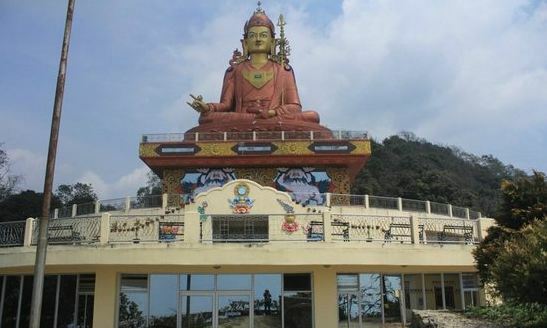 A unique, awe inspiring and gigangtic 135 feet high statue of Guru Padamasambhava is installed atop Sampruptse. 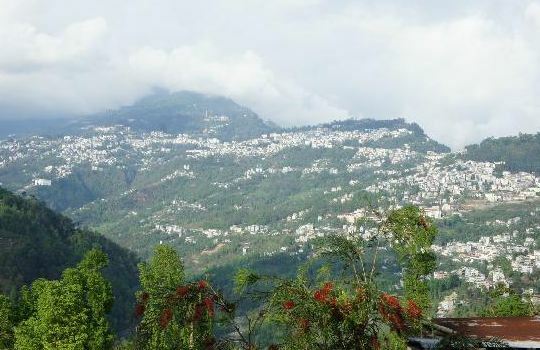 It is the highest statue of Guru Padamasambhava in the world. 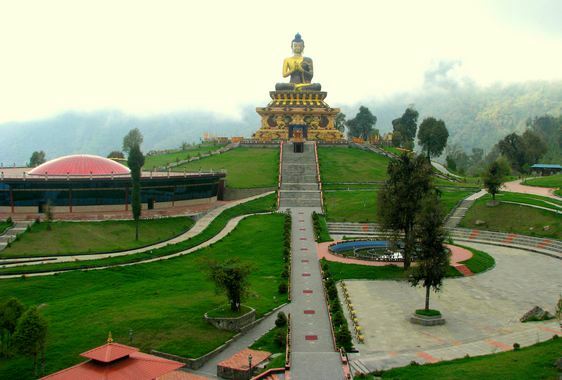 His Holiness the Dalai Lama laid the foundation stone of the statue in October 1997. 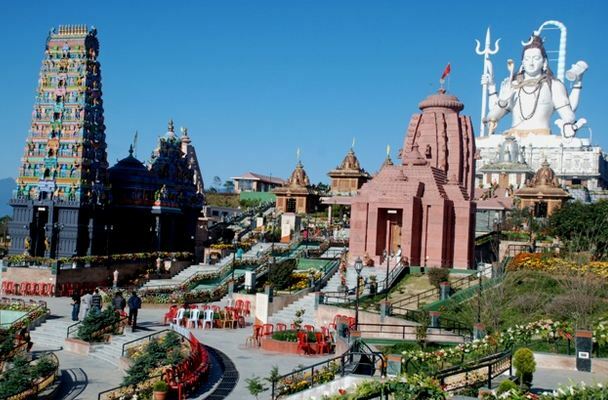 It took nearly three years to complete the statue. 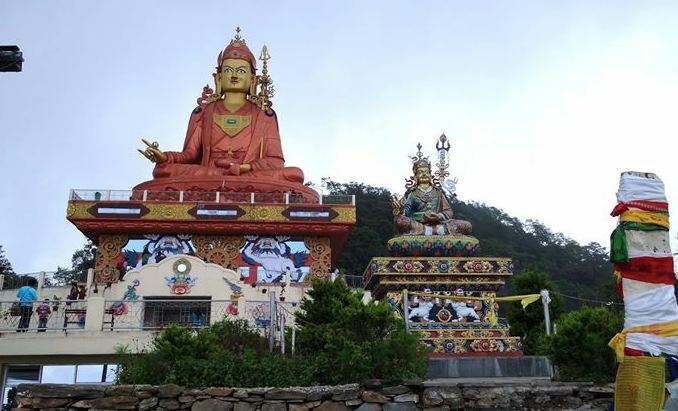 Guru Padmasambhava also known as Guru Rimpoche had blessed Sikkim more than 1200 years ago. 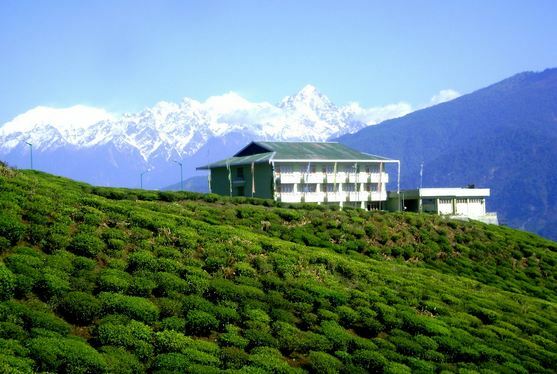 The statue is therefore a fitting tribute to this patron saint of Sikkim. 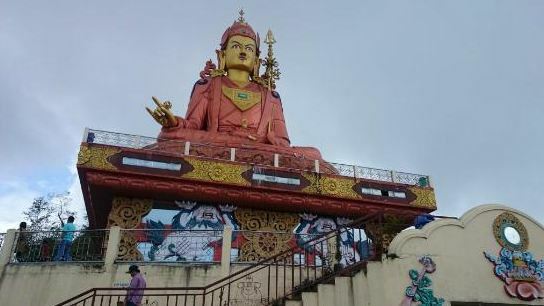 The statue funded by the State Government was constructed and installed by His Eminence Dodrupchen Rimpoche and members of his Chorten trust.